Refrigerant leaks aren’t good. Depending on the size of the problem, this type of issue can also be expensive to fix. One of the best ways to detect problems early on involves having an experienced HVAC/central AC technician come to your home, twice a year, to perform an equipment assessment. At JM Heating and Cooling we typically recommend this be done in the fall and in the spring. The fall and spring are ideal times to do this because, well, most people wait until the summer, and as you can imagine, the summer is the busiest time of year in terms of central AC maintenance and repair. When you schedule maintenance in the fall, this can also help ensure that your AC unit will be in tip-top shape when you turn it on again next year. Just because you’re not too familiar with your AC unit’s refrigerant that’s not to say it’s not extremely important. The basics go something like this: the refrigerant remains under constant pressure, and the lines that contain the refrigerant have a tendency to degrade over time. If one of those lines begins to leak, your AC unit won’t work as well as it should. You’ll also need to have the line fixed and your refrigerant recharged. If the leak is bigger than it is not, this can turn into an expensive repair. When you schedule regular maintenance, we can help monitor the health of the refrigerant lines. If they start to look especially worn, we’ll be sure to change them out before they fail. If the air inside your home has become increasingly humid, you may have a leak. Why? Because your AC unit’s dehumidifying capabilities may have been compromised. If your home won’t cool as much as it used to, this is another sign you may have a leak. If your monthly cooling bill keeps inching higher (for no apparent reason), call JM Heating and Cooling today so we can help determine if you have a leaking refrigerant problem. Lastly, if your outdoor AC unit is making some strange noises (even when it’s not turned on), this could be a sign you have a problem. The most common noises associated with a refrigerant leak are hissing and bubbling. The experts at JM Heating and Cooling have been helping home and business owners in Longmont, CO with all of their AC repair and maintenance needs for more than a decade. 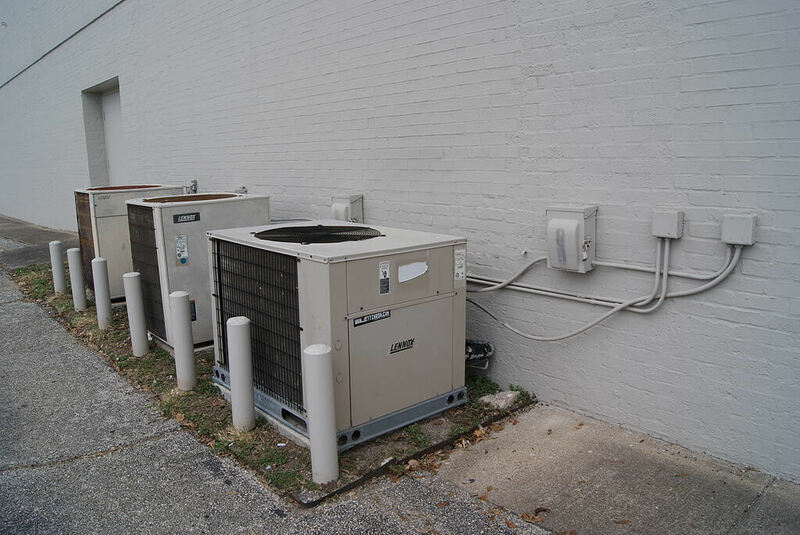 If you live in the city (or one of its surrounding areas) and you’re concerned your central AC unit may be leaking refrigerant, give us a call right away. Or, if you’d like to learn more about our semi-annual central AC maintenance services, we’re happy to answer any questions you may have. Call JM Heating and Cooling today at 303-434-0115 or email us at service@jmheatingco.com to learn more.